If you enjoy traveling with photo gear, you know how annoying it is to manage all the chargers, cables and batteries. Even the cameras from the same manufacturer have different batteries and chargers, not to mention other electronics like smartphones, laptops and so on. 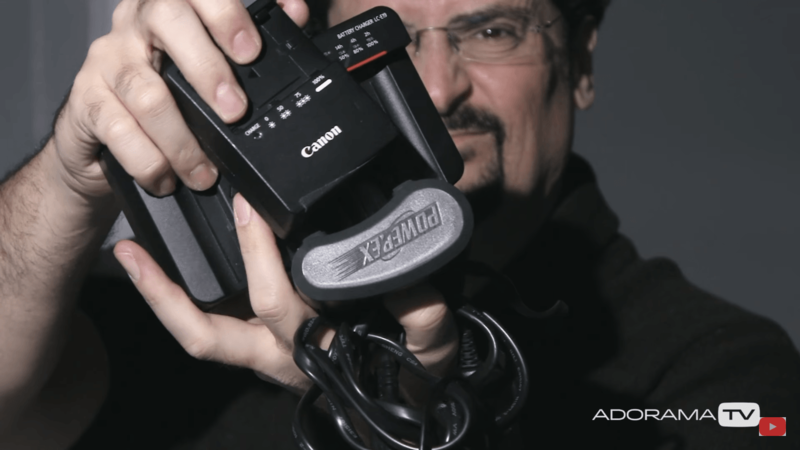 This is why photographer David Bergman gives you a couple of great tips for managing these gear elements when you’re on the road. This is one of the most frustrating parts of packing for me as well, so I’ll also jump in with a couple of tips of my own. As I mentioned, different electronics have different chargers and batteries. Even if you bring minimal gear with you, like one camera, a smartphone and a laptop – you’ll still have a bunch of chargers cables and batteries. Not to mention the scenario when you carry more gear with you. No matter how much gear you carry, use a small bag to store these items before packing them in the luggage. This way everything will be in one place, and you’ll know where to find it. If you have an extra cosmetic bag, it can do the trick. I’m a girl, so I have a bunch of those, and only one is actually for cosmetics. They are convenient for gear because they have a few compartments so that you can organize the items better. Has it happened to you that you arrive at the ho(s)tel and there’s only one available power outlet? I thought it was impossible until it happened to me. David suggests that you carry a power strip with you to overcome this problem. This way you can charge several items at the same time, and not make a schedule when you will charge what (yup, I had to do this). When you travel internationally, make sure to bring a universal plug adapter. This way you’ll have a single plug instead of a full bag of different adapters. If you’re coming here to Europe – you’re definitely gonna need that. You can plug the adapter into the power outlet, and then plug the power strip into it and use it to charge several different batteries. I’d like to jump in with a tip of my own, or better to say a reminder. You probably already tie the cables with the piece of Velcro that comes with the most of them. But some cables don’t have it. For example, all my Nikon charging and USB cable came without it, as well as my phone charger. In such a case, you can use small hairbands to tie the cables once you wrap them. This way they’ll be easier to pack, they’ll stay in place and won’t tangle. It would be much easier for all of us if companies would start making their batteries and chargers universal, at least within a single company. But since it’s not very likely to happen, we can at least do our beats to manage all the chargers, cables and batteries and keep them organized and accessible. DIY – The Cheap Yet Shamefull Underwater Camera Housing Nikons D4s Set for Release in March Quick Tip: How to never lose track of charged & discharged batteries again Tourists waste too much time trying to get the perfect holiday snap. Try these tips and get back to enjoying your break. Do you have any recommendations regarding a good “universal plug adapter?” – Thanks! Plastic garbage bag tie straps work also for cables.